17. What is democracy? (Chicago. University. 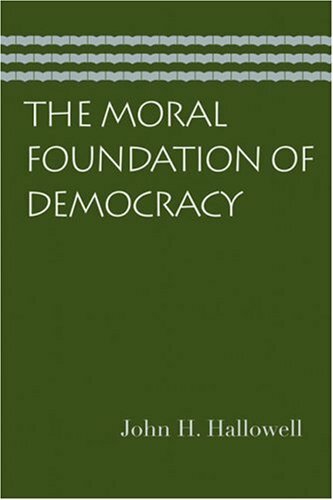 The Moral Foundation of Democracy, originally published in 1954, is a very insightful analysis of democracy.The title comes from the book's final chapter and Professor Hallowell logically develops his position throughout the book with topics such as (i) is democracy rule by the many or a fiction used by the few? ; (ii) the difference between a legislature based on compromise versus a persuasive and deliberative process; and (iii) identifying the civil liberties and social institutions needed for democracy to work.While full of many thought-provoking ideas, Professor Hallowell's main premise is that people are rational beings with the ability to distinguish good from evil in a rational universe that we must conform to.Once this idea is overlooked or discounted, human rights are replaced by whatever concessions an unrestricted state may offer it subjects.As the good professor warns, democracy is easily susceptible to disintegration and the choice between orderly justice and anarchy largely depends upon the thoughts, actions and decisions of individuals.This is a scholarly work that everyone should carefully study.I thank the Liberty Fund for making this book available again. Some theorists claim that democracy cannot work without trust. According to this argument, democracy fails unless citizens trust that their governing institutions are serving their best interests. Similarly, some assert that democracy works best when people trust one another and have confidence that politicians will look after citizen interests. Questioning such claims, Democracy and the Culture of Skepticism, by Matthew Cleary and Susan Stokes, suggests that skepticism, not trust, is the hallmark of political culture in well-functioning democracies. 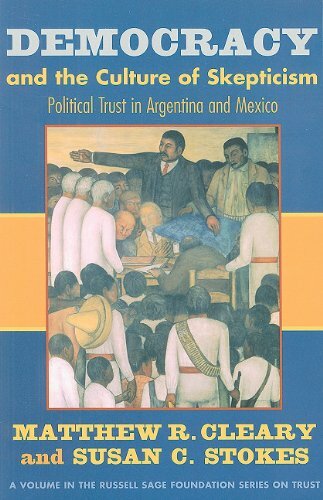 Drawing on extensive research in two developing democracies, Argentina and Mexico, Democracy and the Culture of Skepticism shows that in regions of each country with healthy democracies, people do not trust one another more than those living in regions where democracy functions less well, nor do they display more personal trust in governments or politicians. Instead, the defining features of the healthiest democracies are skepticism of government and a belief that politicians act in their constituents' best interest only when it is personally advantageous for them to do so. 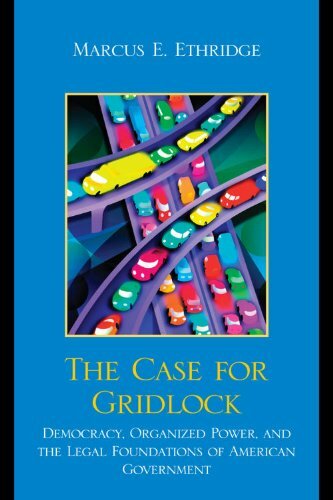 In contrast to scholars who lament what they see as a breakdown in civic life, Cleary and Stokes find that people residing in healthy democracies do not participate more in civic organizations than others, but in fact, tend to retreat from civic life in favor of private pursuits. The authors conclude that governments are most efficient and responsive when they know that institutions such as the press or an independent judiciary will hold them accountable for their actions. by G. Bingham Powell Jr. 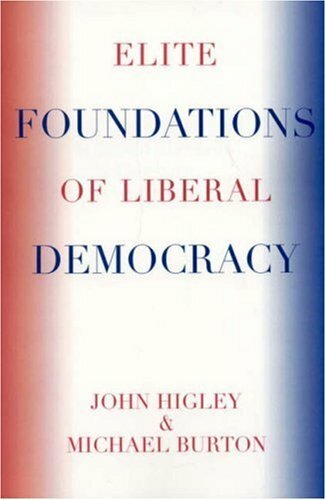 This book is the peak of Higley and Burton's long-time "elite theory", which basically argues that the political elites of 'liberal democracies' come together and 'principally agree to not act on principle'. This act allows for the status quo to mainly stay intact, which allows both left and right to stay in positions of power and governments to remain relatively stable. 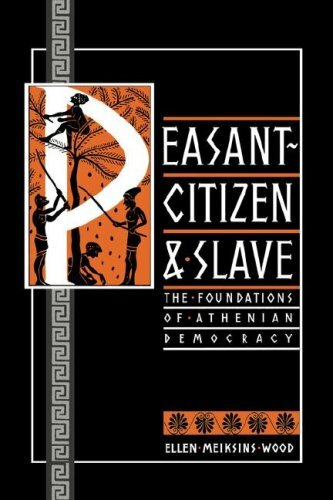 This book abounds with examples, mainly being separated by colonial and non-colonial nations and the variances of the 'elite theory' that occurs in each. Calvin Hayes has provided an exciting insight into what he calls Popper's Copernican revolution in thought, as it applies to the philosophy of science and to moral and political philosophy. He has identified the flaw in the structure of traditional approaches, that is, the idea that there has to be some bedrock foundation for knowledge and for ethical/moral principles.Hume identified the problem in both domains: there is no logical way to derive either general scientific principles or moral proposals from facts. The first is the problem of induction, the second is the is/ought problem. Both of these problems are overcome by grasping Popper's "Copernican" insight, to accept the conjectural status of scientific knowlege and moral principles. Each can be improved by critical (rational) appraisal but neither can achieve the status of "justified true beliefs". 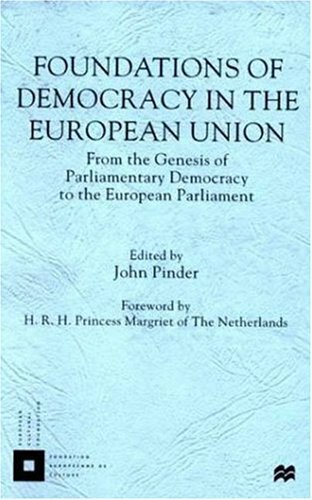 This book offers a new approach to the study of European democracy showing how this has developed through key episodes in the history of the process: precursors in the Low Countries; the founding of British parliamentary then American federal democracy; post-revolutionary France; post-war Germany; the European Parliament. 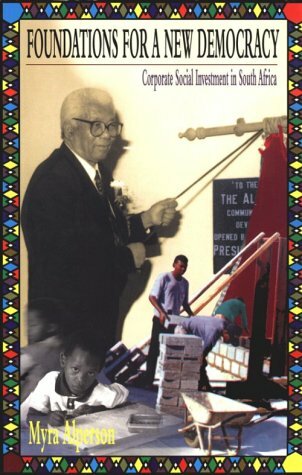 It examines the significance of each episode in the development of national or federal democracy and concludes with a positive assessment of the prospects of liberal democracy. Assisting democracy has become a major concern of the international community since the end of the cold war. Not only governments, but private actors -- foundations and other non-governmental organizations -- are playing a growing role in these efforts, rivaling that of governments and international institutions. 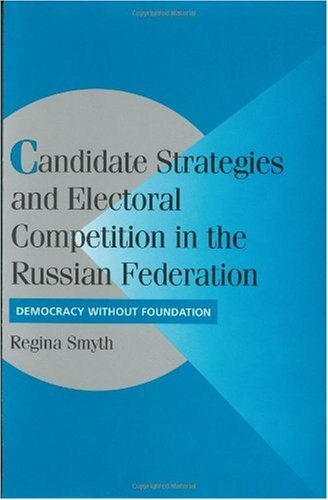 This pathbreaking study examines foundations' democracy assistance programs in Central Europe in the years immediately following the fall of the Berlin Wall, both measuring their size and evaluating their strategies. 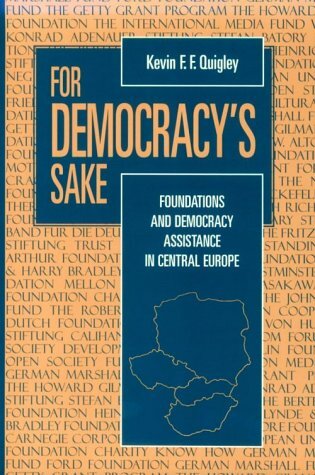 For Democracy's Sake assesses such efforts in post-cold war Central Europe through extensive field research, a rare series of workshops in which Central Europeans knowledgeable about democracy efforts participated, and the author's own experience as a foundation executive. The book includes chapters concentrating on foundations' efforts in the Czech Republic, Hungary, Poland, and Slovakia, a chapter on regional initiatives, and a chapter on the philanthropy of George Soros. 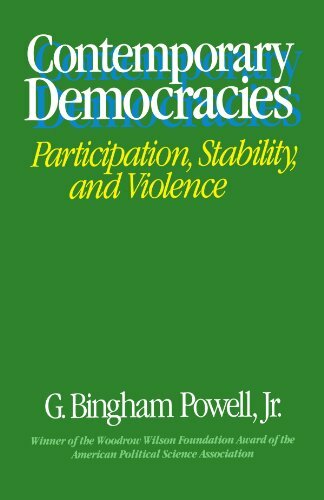 This timely volume offers broadly applicable lessons regarding the most effective strategies, approaches, and techniques for helping others develop their own versions of democracy. 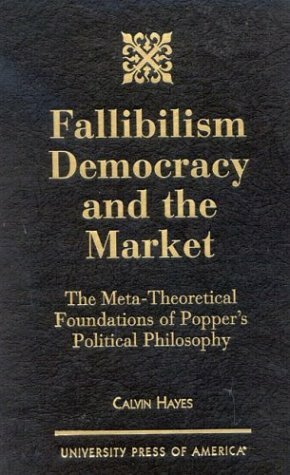 For those interested in obtaining tools for dealing with one of the seeming conundrums oftoday's world, Rash's book provides invaluable insights through a constructive approach that builds bridges of understanding.He provides a conceptual framework with which the shared ideals of both democracy and Islam (to which we may add Christianity and Judaism) can be realized within fallible human societies.It is an enlightening process to compare statements made by the founders of American democracy in the Eighteenth century with references to the Qu'ran, sunnah, and the long tradition of Islamic scholarly literature--including today's--which Rash brings together in one collection of essays. The very sufic idea of `Pre-emptive peace' and Rash's analysis of the `hard' versus `soft' aspects of culture are particularly worthwhile.Rash underscores the needfor peace to be an active and consolidating approach to mutual understanding, not simply the absence of conflict.Ailments of contemporary Muslim societies (including the difficulty of establishing democracy) are ascribed not to religion, rather to the after-effects of colonialism and Western hegemonies, as well as cultural overlays which, from the outside, may be seen as symbols of Islam but which in fact are only deep-seated (in some cases pre-Islamic) societal norms.Addressed in some detail are so-called `Islamic' extremists, who are distinguished sharply from the broader, very moderate Islamic mainstream. One of Rash's most important points is that if democracy is going to gain a greater hold in predominantly Muslim nations, it cannot be imposed from outside: "Changes will only happen with cultural sensitivity." Remarks quoted by Thomas Jefferson and others make clear that the best way to preserve spiritual freedom in a society (required by Islam) is to maintain separation between religious and secular powers. In an Islamic historical context, too, the theocracies of Iran and the Taliban are seen as aberrations. 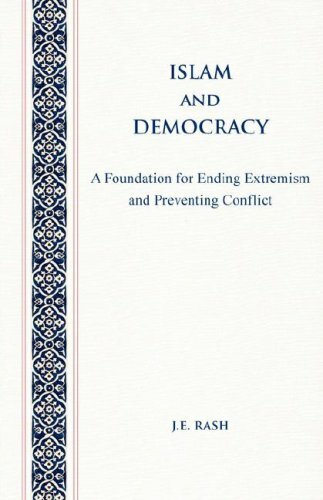 But in finding the roots of democracy in Islam, the author suggests a powerful and democratic model from which to refer to from within Muslim societies themselves, a central and culturally endemic, peaceful, moderate guide, whose principles can be progressively applied in moving towards more tolerant, diverse, open-minded and culturally sensitive 21st century societies. The book "Islam and Democracy" is a timely myth-breaker for an era where Islam is often mis-perceived as intolerant, extreme and inherently undemocratic while chauvenistic assertions of the superiority of Western democracy are made too often and too unreflexively by European and North-American ideologues.The author of this book J.E. Rash is both an experienced Muslim religious leader and educator as well as a committed democratic thinker, giving this work a depth of understanding and commitment seldom found in other texts dealing with these issues. 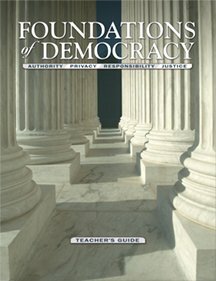 This book provides a critical reading of the position of democracy in the Islamic tradition from a sincere, committed, democratic Muslim perspective while also offering a critique of current democratic practice, such as it is, in the U.S., where the author resides, framed against the high principles of the U.S. founding fathers.The text explores the core principles and values common to both liberal democracy and Islam to reveal a convincing democratic discourse embedded within essential Islamic beliefs and practices. Recognising the value of pluralism and the right for societies to develop according to their own historical experience and cultural traditions, "Islam and Democracy" refreshingly manages to avoid the arrogance and implicit cultural chauvinism that dominates much of the current literature dealing with Islam and democracy that assert the hegemony of the historically-derived Western European/North American model of liberal, parliamentary democracy as the only possible model for democratic development.This book takes the more genuinely and sincerely democratic approach of acknowledging that there are many paths to democracy and that all societies must discover the deep, universal values that sustain popular sovereignty and self-government in their own native traditions. The fresh approach contained in this book to both the essential values and principles of both Islam and democracy, which are all-too-often either taken for granted or totally overlooked by partisans and detractors alike, on its own makes this a valuable and thought-provoking text.The fact that itis the product of an insightful, critically-minded Western Muslim gives it the added dimension of being a manifesto and call to action for Muslim democrats to find the basis of an Islamic democracy, not in externally imposed models but in the very core of Muslim tradition itself.